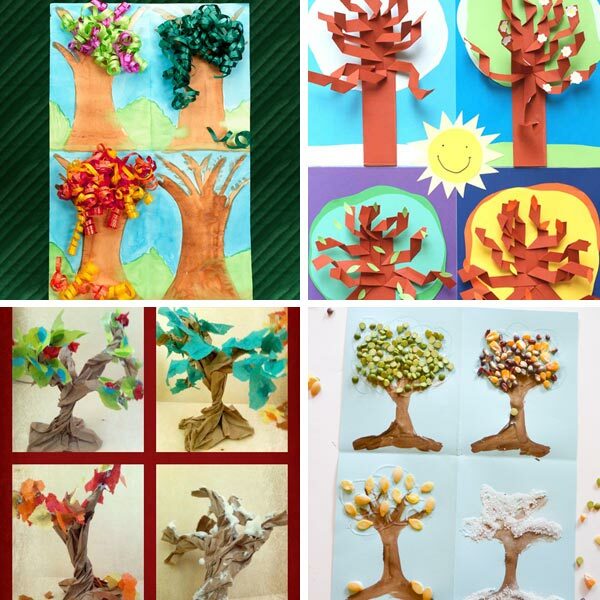 The trees are still green but they will soon turn into beautiful colors. 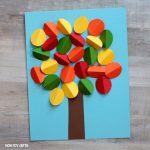 With autumn just around the corner, I looked for some of the best four seasons arts and crafts for kids. 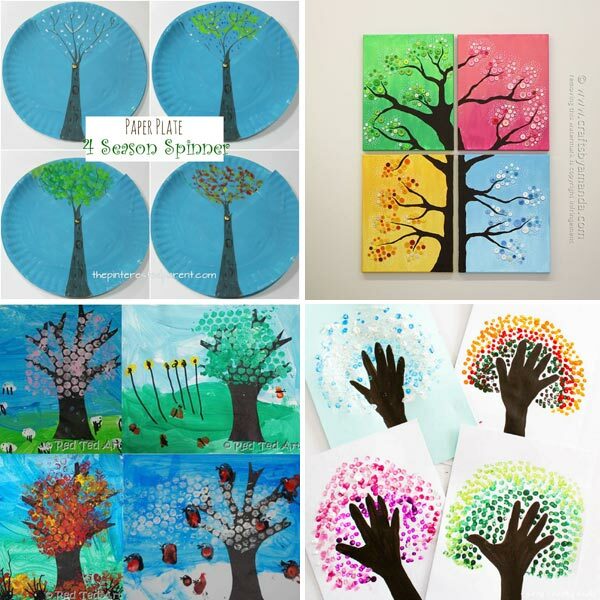 All of them are four seasons trees as the trees reflect the most the seasonal changes. 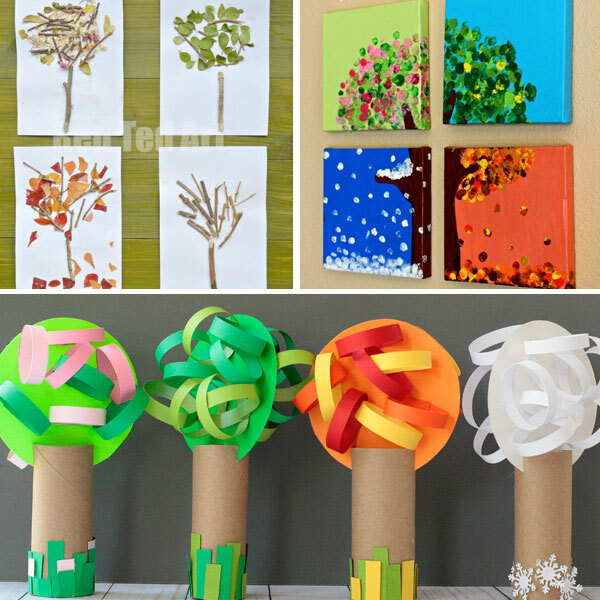 In my opinion spring and fall are the perfect seasons for making four seasons arts and crafts. 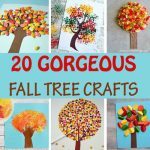 While we only have evergreen trees in our yard, many of our neighbors have some gorgeous trees that we like to observe and admire throughout the year. 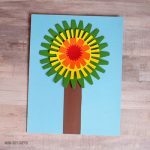 These four seasons arts and crafts are a great opportunity for kids to learn about spring, summer, fall and winter. 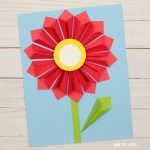 They can talk about what makes every season unique, write down lists of specific seasonal activities or things they love about each season. 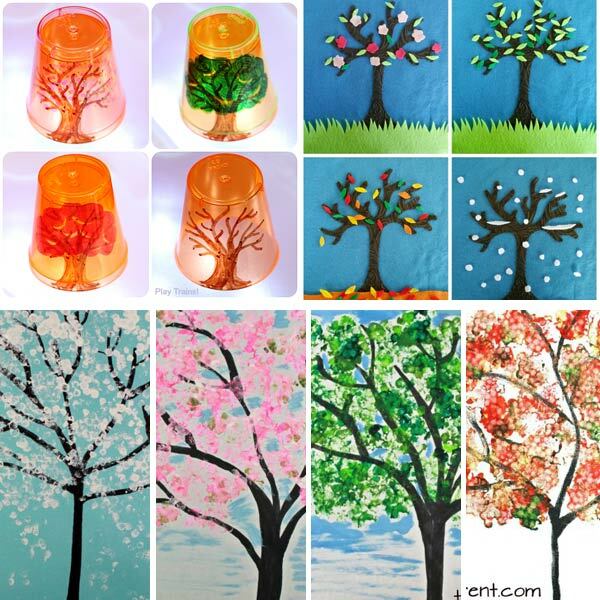 I have always lived in 4 season states or countries but not everybody gets to experience all the seasons. 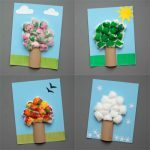 Some kids may not know what snow looks and feels like, for instance. 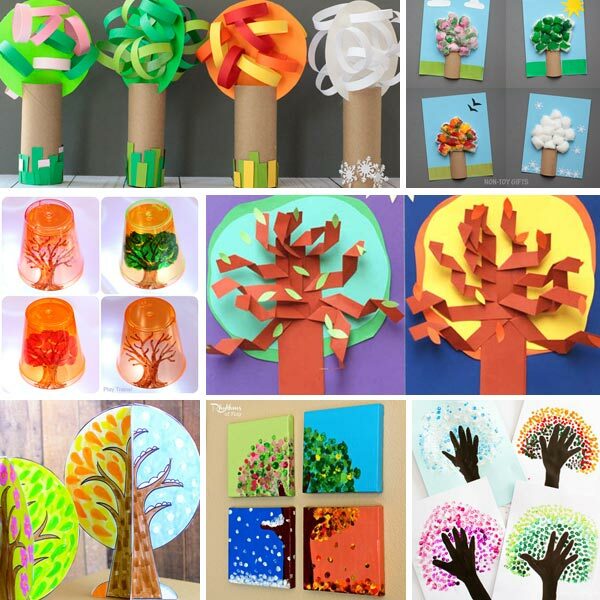 With any of the arts and crafts listed below they can explore and learn about the seasons they aren’t familiar with. 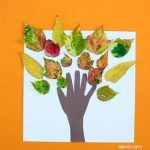 While kindergartners and older kids will have no problem pulling off the crafts, preschoolers will need some grown-up help. 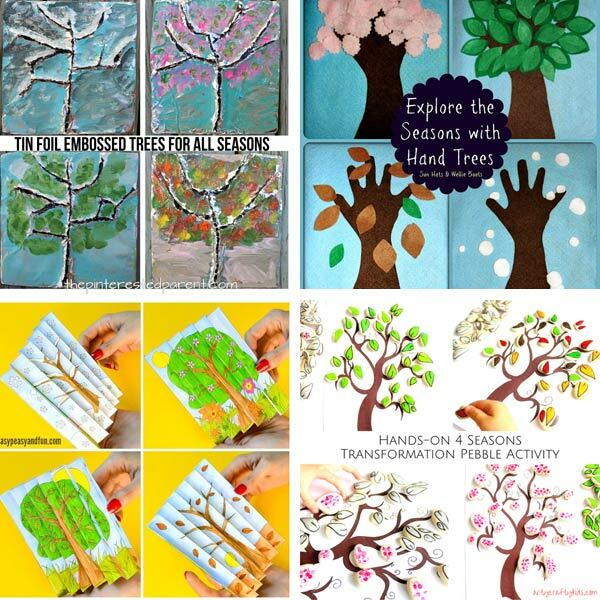 You will discover so many variations of the four seasons tree craft and all so beautiful and unique. 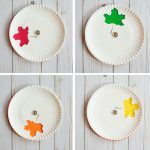 Some use rocks or cotton balls, other paper plates or printables. Which one to choose? This is a tough question. 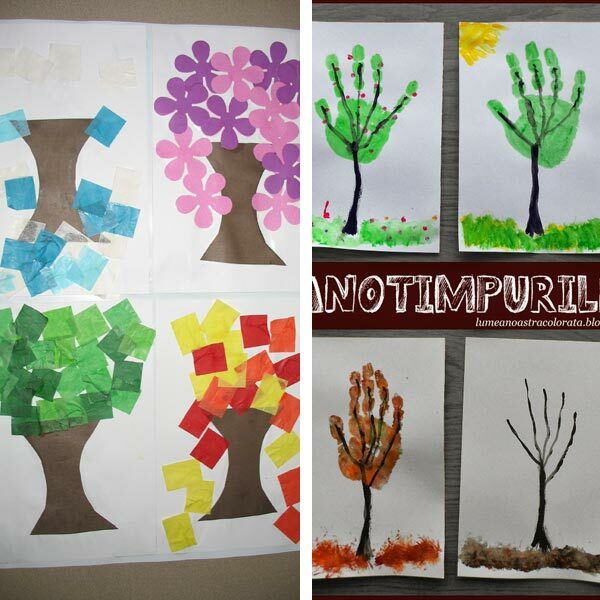 It depends on the age of the little crafters and the materials you feel comfortable using or have at hand. 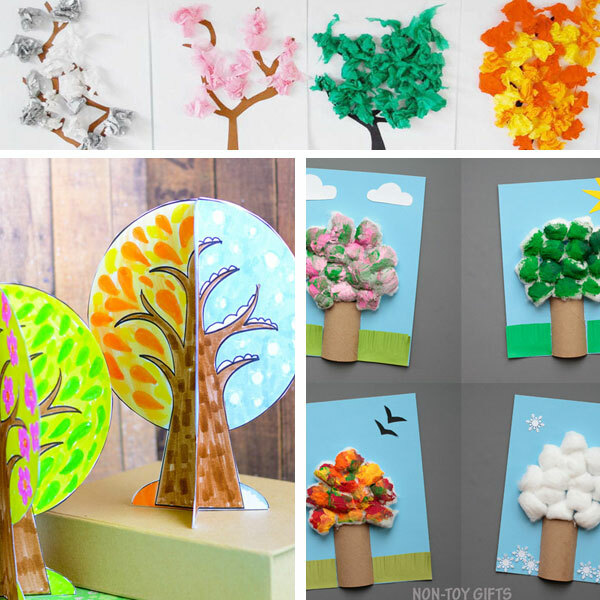 Each of the trees can be paired with more seasonal crafts from our collection of 100+ easy crafts for kids. 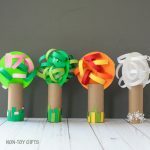 Tissue paper four seasons tree | Kiwi Co.